Massage therapy refers to the manual manipulation of soft body tissues (muscle, connective tissue, tendons, and ligaments) to enhance an individual’s health and well-being. There are dozens of types of massage therapy methods and they are called modalities. Massage therapy has been practiced for thousands of years, and references to this healing art can be seen in writings from ancient China, Japan, India, Arabic nations, Egypt, Greece, and Rome. Massage therapy was widely used in Europe during the Renaissance. In the 1850s, two American physicians who studied in Sweden introduced massage therapy to the U.S. The healing art took off, and it was promoted for various health purposes. However, with scientific and technological advances in medical treatment during the 1930s and 1940s, massage therapy fell out of favor in the country. Interest in massage therapy revived in the 1970s, especially among athletes. 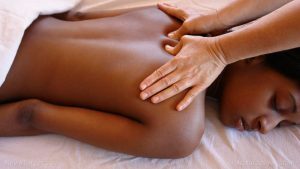 The bulk of scientific research concerning massage therapy is preliminary or conflicting, but most of the evidence has determined its beneficial effects on pain and other symptoms connected to other health conditions. Much of the evidence suggests that these effects are short term and that people must keep getting massages to enjoy the benefits of this healing art. Preventing diabetes — Massage therapy can help control the level of sugar in the blood, especially in children. This is why massage therapy is recommended as a curative and preventative practice among children with diabetes. Boosting immunity — While our body’s immune system is strong enough to fight off different types of infections and foreign body attacks, massage therapy can make it even stronger. Regular massages can help build protective cells in the body to neutralize attackers like cancer and viral infections. Treating cancer — According to studies, extensive massage sessions can help reduce the various problems caused by cancer cells. For example, massage therapy can help reduce the pain and anxiety associated with cancer. Improving heart health — A massage can help your heart return to its normal functional levels, thereby effectively minimizing threats to your life that can be caused by a malfunctioning cardiovascular system. Reducing pain — Massages can help patients recover from surgery. Massage therapy is also used to relieve migraines and lower back pain. Boosting the nervous system — Since massages takes away the tension that is dissolved in the nerves, the nervous system is recharged by massaging. Massage therapy refers to the manual manipulation of soft body tissues (muscle, connective tissue, tendons, and ligaments) to enhance an individual’s health and well-being. The bulk of scientific research concerning massage therapy is preliminary or conflicting, but most of the evidence has determined beneficial effects on pain and other symptoms connected to other health conditions.